Well, I finally did it. 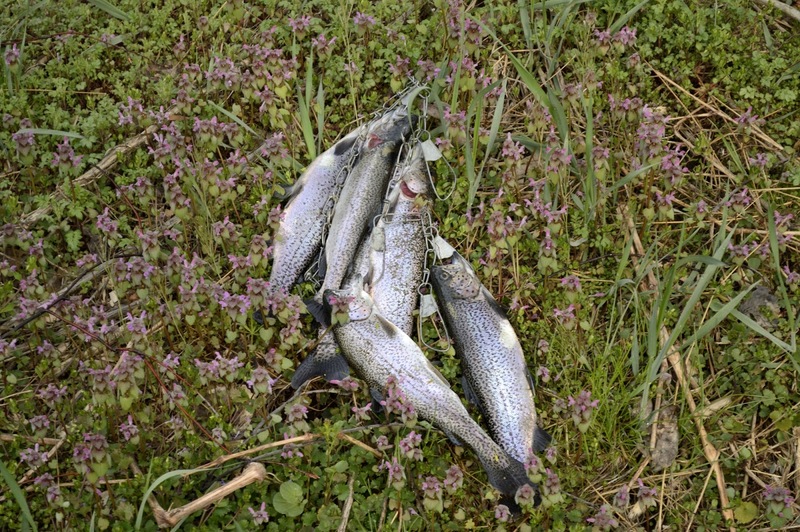 I made myself go fishing for the first time since June 2, 2012. Every time I have had a little time in 2013; the water has been frozen or flooded. 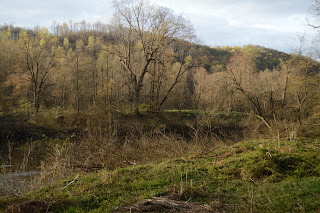 I rode over to the Middle Fork this morning and arrived on the stream at 6:40. I was back in the truck at 7:12. 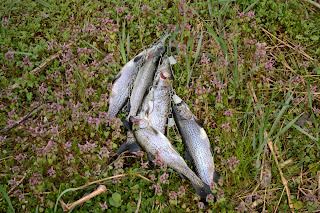 I believe that I made a grand total of 11 casts. It was a pleasant morning, my waders had no holes and the Barn Swallows were quite entertaining. Maybe I'll make myself go again. I hope the rain we are supposed to get today turns out to be the Mushroom Rain. 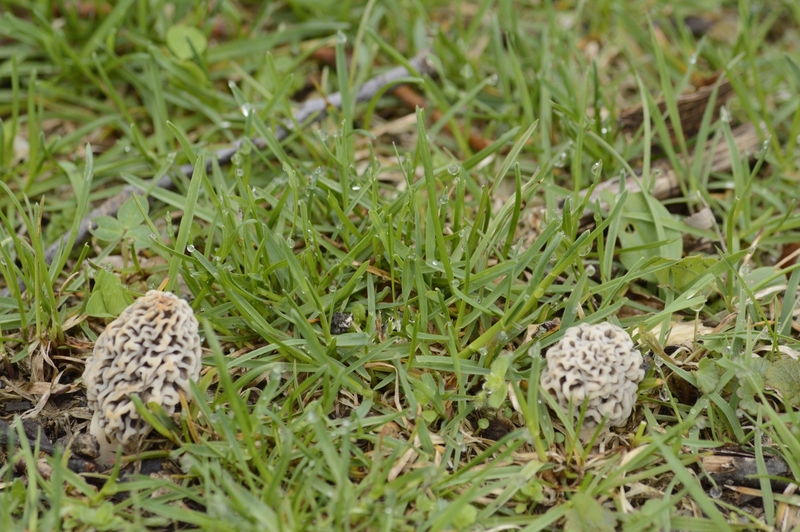 It is really nice to be fortunate enough to have morels pop up in your own yard every year. This enables you to know exactly what is going on in your area. 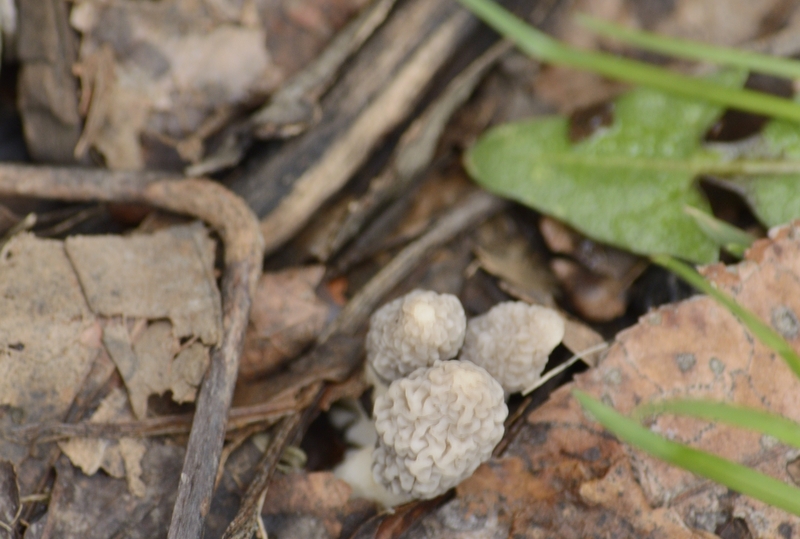 The morels in the photo on the left came up this morning. They may be a quarter of an inch tall and you would never see them if you didn't know exactly where to look. 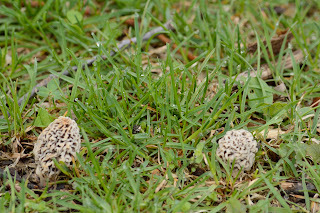 My first yard morels emerged yesterday morning (4/16/13) and as always; my first asparagus shoots came up later in the afternoon. 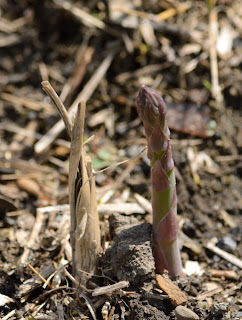 I am guessing that asparagus needs slightly warmer soil temperatures than does the morels. It couldn't be more than a degree or two. Over the past 14 years, they have never failed to come up on the same day; the morels are always first in the late morning with asparagus following the same afternoon. I never get a big picking of morels from the yard, I think the fewest I have ever gotten was around 10. I believe the record was 22 or so; but it is good to know that I can count on them to tell when to search more productive areas.